Arthritis means "joint inflammation," and it's used to describe different diseases and conditions that affect joints, the tissues that surround joints, and other connective tissue. 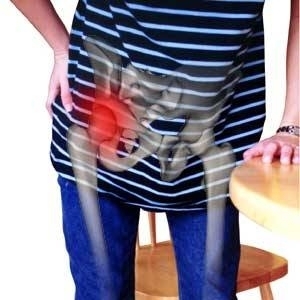 Ø Osteoarthritis pain, stiffness, or inflammation most frequently appears in the hips, knees, and hands. Ø Rheumatoid arthritis commonly affects the hands and wrists but can also affect areas of the body other than the joints. Wrists, elbows, shoulders, and ankles can also be affected by OA, but this occurs less frequently. When OA is found in these joints, there may have been a history of injury or stress to that joint. If you are experiencing any of these symptoms, it's important to talk to your doctor to find out if you have OA. While the exact cause of OA is unknown, joint damage can be due to repetitive movement (also known as "wear and tear"). It can also begin as the result of an injury. Either way, with OA there's erosion of the cartilage, the part of the joint that covers the ends of the bones. Cartilage acts as a shock absorber, allowing the joint to move smoothly. As cartilage breaks down, the ends of the bones thicken and the joint may lose its normal shape. With further cartilage breakdown, the ends of the bones may begin to rub together, causing pain. In addition, damaged joint tissue can cause the release of certain substances called prostaglandins, which can also contribute to the pain and swelling characteristic of the disease. Ø Age is the strongest risk factor for OA. Although OA can start in young adulthood, in these cases, it is often due to joint injury. Ø OA affects both men and women. However, before age 45, OA occurs more frequently in men; after age 45, OA is more common in women. Ø Traumatic injury to a joint increases your risk of developing OA in that joint. Joints that are used repeatedly in certain jobs may be more likely to develop OA because of injury or overuse. Ø The chances of getting OA generally increase with the amount of weight the body’s joints have to bear. The knee is particularly affected because it is a major weight-bearing joint. Ø People with joints that don’t move or fit together correctly, like bowlegs, dislocated hips, or double-jointedness, are more likely to develop OA in those joints. Ø An inherited defect in one of the genes responsible for manufacturing cartilage may be a contributing factor in developing OA. Rheumatoid arthritis (RA) is an autoimmune disease where the body's immune system attacks normal joint tissues, causing inflammation of the joint lining. Although RA is often a chronic disease, the severity and duration of symptoms may unpredictably come and go. With RA, people experience periods of increased disease activity, calledflare-ups or flares, alternating with periods when the symptoms fade or disappear, called remission. As RA progresses, about 25% of people with the disease develop small lumps of tissue under the skin, calledrheumatoid nodules, which can vary in size. Usually, they are not painful. Genetic. Certain genes play a role in the immune system — for some people, genetic factors may be involved in determining whether they will develop RA. Environmental. In people who have inherited a genetic tendency for the disease, RA can be triggered by an infection. However, RA is not contagious — you can't "catch it" from anyone.